FORT WORTH, Texas Tom Horton won't get to lead the new American Airlines after it merges with US Airways, but he'll get a going-away prize of nearly $20 million. Horton will get $9.94 million in cash and an equal amount in stock in the new company after the merger. He'll also get an office and office help for two years, and lifetime flight and travel benefits. Will American-US Airways merger push up fares? American's parent company, AMR, disclosed the CEO's severance package in a regulatory filing late Thursday, shortly after announcing plans for an $11 billion merger with US Airways Group (LCC). The companies hope to win regulatory approval and complete the deal by the end of September. US Airways CEO Doug Parker will be CEO of the new company, which will be called American Airlines Group Inc. Horton will serve as chairman for about a year before stepping down. Horton, 51, joined American in 1985, jumped to AT&T for four years in the 2000s, then returned to the airline and became CEO the day before it filed for bankruptcy protection in November 2011. AMR said in the filing that its board - of which Horton is chairman - approved the severance package as "reasonable and appropriate" because of his long service at the company, the success of the restructuring "and the value created for the company's financial stakeholders." AMR creditors including employee unions will get 72 percent of the stock of the new company and shareholders, who normally get nothing in a bankruptcy case, will get a small portion of that. Creditors might get all of their money back, Horton said. Horton clashed with AMR's unions during the bankruptcy process when he moved to eliminate thousands of jobs, cut pay, freeze pensions and make other changes designed to save about $1 billion in annual labor costs. American's three unions openly supported a merger that would result in US Airways' management running the new company. 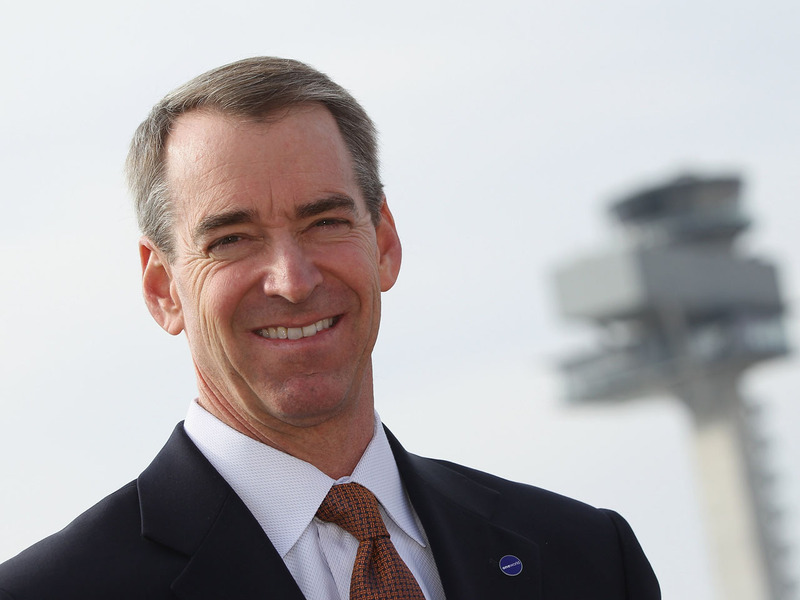 A spokesman for the pilots' union declined to comment Friday on Horton's compensation. "Our focus is on the incoming team and the experience and leadership that they'll bring to the new American Airlines," said spokesman Dennis Tajer. If the merger of AMR and US Airways Group Inc. is approved by AMR's bankruptcy judge, U.S. antitrust regulators and shareholders, Horton would serve as chairman until about mid-2014 and then leave the board. He hasn't said what his plans are after that. Helane Becker, an analyst with Dahlman Rose & Co., said Horton would be a good candidate to lead an airline or a company in another industry. "Doug (Parker) has gotten all the attention, but Tom has quietly done a good job" leading AMR through bankruptcy, she said. "Whatever company gets him will be lucky. He's smart, he works hard, he's energetic."